My senior year in film school, I had the privileged of working with director, writer, and producer Jocelyn Moorhouse through a mentorship program. Every week I brought in pages of my screenplays, and every week she patiently read them and gave me encouraging notes to help me through the rewriting process. When I think back on the experience now, a part of me feels sick to my stomach imagining what Jocelyn could have thought of me in some of those moments. I was 21 and stupid. I naively thought that once I exited the halls of higher education, Hollywood would open its doors to me, so enthusiastically wanting to produce every story I could ever dream up starring a bunch of women being women. Ha. Jocelyn, on the other hand, was a working Hollywood director. And a mother to four children, two of whom are autistic. And a wife to another filmmaker, meaning she had another impossibly busy schedule to manage along with her own. She was in the trenches, I was only dreaming about them, and my dreams were much nicer than reality. 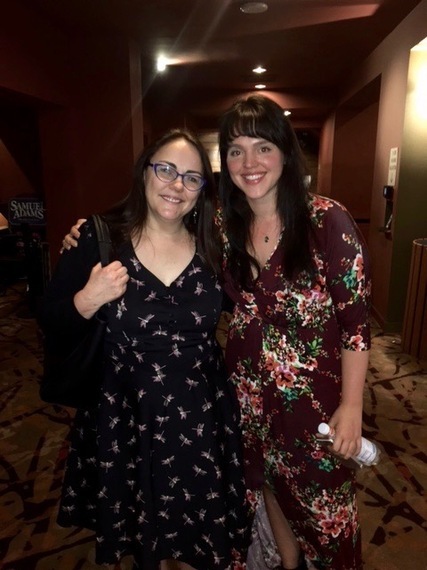 With her latest film, The Dressmaker, out this week, I sat down to talk to her about all the things I didn't know back when I was lucky enough to frequently be in her company, and all the things she's learned throughout the course of her career thus far as a wonderful working female director in Hollywood. RB: When I first heard about The Dressmaker, when was that? Last year? JM: You mean when it premiered at Toronto? In October of last year. RB: Yes. I had just seen a documentary, Hitchcock/Truffaut, which brings to life François Truffaut's interviews with Alfred Hitchcock. Truffaut was a young filmmaker at the time, and he sought out Hitchcock to ask him about directing. It was Truffaut's take on Hitchcock that really allowed others to see Hitchcock as an auteur. And after I saw it, I was just left wondering, how could you do something like that with women? What would that be like? JM: Well, we can try now! JM: Yes, with great interest. RB: It's taken a strange turn where now, just recently, a lot of political discussion about what to do for women who are working is just being used to garner votes--bringing up equal pay and maternity leave just for the sake of getting those buzz words out there--I don't think there's much sincerity behind it. But there needs to be. I don't want the discussion of what it's like to be a female film director to become just another buzz word topic, because I think it's really hard to do what you're doing. JM: It is. It's hard, because as a woman director, firstly you're facing the challenges of being a female in a very male-dominated industry. And if you happen to have children, you're facing the challenge of having to simultaneously care for the needs of your children and your professional responsibilities. You want to put a tremendous amount of effort and commitment into both. It's extremely challenging and complicated. RB: When you were in film school, directing your shorts--which, I watched most of them, and they were so great--did you think being a director was going to be as hard as it...is? JM: No, no. I didn't really. I had been raised by pretty forward-thinking parents who had given me a childhood full of creativity and with the optimistic belief that my gender didn't matter. It was, "You are smart, you will get an education, and you will probably achieve what you want to," and they said that to my sister, and to my brother, and to me. So, that was pretty feminist, actually. They didn't differentiate between my brother and me or my sister. JM: So my mother was quite a feminist, without making a big deal out of it. That was just her life philosophy, because she was a working mom and very creative. JM: Well, when I first went off to film school, I was very shocked to have a teacher say to me, "If you want to be a director, Jocelyn, the best thing you can do is learn to type." And I asked, "Why?" And he said, "Because if you're really lucky, you might get to be a male director's secretary." And I was pretty annoyed by that. I knew that was sexism, even at that point in my life. RB: Had you shot any of your shorts at that point? Had you screened anything? JM: No, I had been living in my own creative cocoon. No one had stopped me from making movies. As a teenager, I had a Super 8 camera that my mother had given me, and I used it to make silent movies with my friends. And I would just put David Bowie or Brian Eno on the soundtrack and make these strange little films and they were a great joy in my life. So I felt, yes, this is a part of me. It's who I am, and I'm somehow going to work out how to be a director. And I was very inspired when Gillian Armstrong appeared on the Australian film scene, because up until Gillian directed My Brilliant Career, Australia had not really seen any female film directors since the 1920's. JM: Interestingly enough, our pioneering industry had three sisters who directed their own movies back in the 20's. They were called the McDonagh sisters. They were rich, so they could afford to do it. But there was a great lack of female directors in the Australian film industry from then up until the 80's. So when Gillian Armstrong appeared, I was just entering film school. And I thought, great, if she can do it, I can do it too. RB: That's very interesting. I got a new textbook, just because I wanted to see how auteurship is being taught in film schools in 2016, and the book mentions a female director from the United States I'd never heard of before, from the 20's, 30's, and 40's. JM: Really? What was her name? JM: I haven't heard of her either, isn't that terrible? JM: Really? How come we don't hear about her much? RB: Their films are just stacked in the lot archives, waiting to be watched, and to be remembered. JM: That has to change. Someone needs to do a documentary about them. Someone needs to make people, and particularly young women, aware that it's actually not a rare thing for a woman to direct. For some reason, it's just forgotten. I felt this, actually, when I discovered the McDonagh sisters. And I learned there were quite a few other women around at the genesis of Australian cinema. There were two or three other female directors who were flappers. There's photographs of them behind the camera. They were quite successful, but they were often married to very successful men who also directed and the men tended to get all the attention. RB: That still happens quite a bit now, that same dynamic. JM: Of course it does. RB: It's interesting because the reality is that women were there, women were doing it, they've just been omitted from the history. Which is ironic in this case because filmmaking is storytelling. So as women have been telling stories, they've ben omitted from the main story. History. JM: That's why the industry has to change. We need to take back these stories and histories that are told from the male point-of-view. We are all unconsciously being told that women's stories don't matter because we aren't seeing nor hearing them. And in turn we're being told the only stories worth watching, worth financing, and worth filming are male stories. The more stories we can get now with the female gaze, the better. RB: A female gaze...Wouldn't it be amazing if that actually existed? JM: It can. It does. In fact, in The Dressmaker I made a point of that! RB: Yes, yes, that's right, you did. In the scenes with Liam Hemsworth. JM: Instead of a camera lingering on a woman, why not have the camera linger on a man? And it's not shocking at all. Well, it might be shocking and strange to men watching, but for women it will at least feel like something really familiar, and that will be a relief. RB: And with The Dressmaker, you're absolutely telling a strong female protagonist's story. RB: At what point in your career would you say you got to the place where you were like, I'm just gonna do that? JM: Well, when I was a young filmmaker, I was hell-bent on proving that I could make the same films as a man. That my gender shouldn't matter, that being a woman, I could tell male stories. But as I've matured, I've realized that it's actually my responsibility as a female director to tell women's stories. Because it just won't happen that much otherwise. Men will choose to tell male stories. There aren't that many movies with a female protagonist that also are from a female point-of-view with a female voice. RB: I relate to what you were saying about feeling you need to prove yourself, that you could make the same movies as a man. I think I felt that way in film school too. Someone told me, "If you keep writing these women's stories, you'll only ever write for Lifetime." RB: Yeah. And it just made me feel like, okay, I guess I'll make it a point to never write what they were thinking I would write. JM: There's nothing like being challenged, is there? When someone tries to put you into a narrow category, it just makes you want to bust out of that. RB: I wonder if it's something a lot of female artist, and filmmakers specifically, have to overcome before they can get to that auteur-type level. First they have to deal with this obstacle of, god, first I have to show I can do it. I have to prove I can do the big budget picture, I have to prove that I can handle this, and then I can find my voice later, where as men are just kind of like, what do I want to say and how do I want to say it. JM: It's true, men don't have to have that first hurdle of proving they can do it. It's just assumed they can, because they're men. Women still do, most of the time, have to clear the extra hurdle and say, hey, look, I can do this. Now will you let me do this? Have I proven it yet? RB: So you got to a point where you were collaborating with a lot of other incredibly talented female writers. You obviously wouldn't collaborate with other female directors on movies you're directing, but I am wondering, do you have a good number of friends who are female directors? Or are all the female directors as isolated as they say? JM: Oh, yeah. She is. RB: But in school, she was left out of all of my textbooks. JM: Why? She's one of our greats. JM: She went to the same film school as me, we were in the same year. JM: Yeah! We worked on each other's films. JM: She was a camera operator on one of my shorts, and I played a pregnant girl in one of hers. RB: In The Dressmaker, Kate Winslet's character, Tilly, comes home and takes back a part of her life, and it is a story, that--I don't want to reveal any spoilers--but it is a story many women will be able to relate to, unfortunately. JM: There's a certain amount of misogyny she and her mother suffered, yes. A certain amount of patriarchal oppression. It's still very entertaining! RB: That's the thing! You're dealing with tough subjects that we really should, and have to, deal with, but it's entertaining the whole way through. JM: I tried to keep a sense of humor about it, because we are dealing with some pretty dark subjects. There are some surprisingly dark moments in the film, which I love. I love combining comedy with drama. That's just how I view life. Robert Altman did that, and I love how the Coen brothers do it. The thing is that she finds a really ingenious and feminine device to get her revenge. She doesn't just go in with a gun and blow everyone away. She is devious, but it's subtle. RB: She's a three dimensional character. JM: I think she is. I love that she's kickass. She was like that in the book. I can't take credit for that. Tilly was very strong and felt that she wanted to punish the evil-doers. RB: For me, I can always tell when a guy is writing a woman, because it just gets so black and white. JM: I think it's really hard for a man to understand the female experience. But if there are more movies with realistic female characters, maybe men will learn to empathize more with the female experience, just as we have learned to empathize with the male experience from watching realistic male characters so many times over. We don't go, "I can't follow this because it's about a man." We go, "I can imagine being a man." RB: Do you watch Game of Thrones? JM: I do. I love Game of Thrones. RB: I actually just started watching it this last season. I watched the first and the fifth seasons in the same year, so it's really apparent to me that they've done a lot to flesh out the female characters. JM: It's not just a matter of seeing them naked now. Though it was interesting in the beginning, they were naked, but they were still tough, which felt refreshing. But now we've got complicated female characters on the show, which is great. Even better. RB: After I watched the first few episodes of the first season, my boyfriend asked me, "Well, what would you do to make the female characters come to life more?" and I said, "Why can't the character of Jon Snow be a woman?" RB: Why can't that amazing story and character development and backstory go to a woman? You know? Just, like, write a...person. Who happens to be a woman. JM: That's what needs to be written. But it will probably take a female writer and a female producer to get that project going in the first place, and then a female director to come onboard and see it through. But it does start, I think, with producers encouraging writers to generate projects like that. In order to turn the table, have complex characters, and perhaps a female Jon Snow. It's not likely to happen with a man, it's more likely to happen with a female producer. RB: I do feel like with Tilly in The Dressmaker, that's happening. She has all these elements to her, and they're all present all at once, just like you or me in every day life. In every moment we're facing we have all of ourselves with us, the good, the bad, all of our experiences. Everything. We're people with layers, just like men. JM: That's why I really liked her, because she wasn't just one emotion. She was fragile while she was incredibly strong. She was vulnerable and she could be intimidating. RB: I recently rewatched Uncontional Love, and I couldn't help but compare it to the The Dressmaker in tone. RB: And that in turn reminded me of one of your shorts from film school. JM: Oh, my gosh. Which one? JM: Yes! I remember writing that one, that was fun. I remember the other student, who directed, Felicity was her name, she came up to me and said, "Could you write me a story, I don't know what I want it to be, really, but I know I want a little girl to swallow an orange seed," and I just took it from there. That's quite an absurd little story, isn't it? RB: It's awesome, and it's the same sort of tone. Mixing humor with really dramatic moments. It's starting to feel like a particular tone of yours, almost in an auteur way. JM: I think it must be, yes. The way I see life is as a black comedy. There's pathos, but there's really bleak humor. You do sort of need that survivor's sense of humor to stay sane in life, through its challenges. In the past few years, I've faced quite a few, with both my parents passing and my eldest daughter's autism worsening. But that survivor's sense of humor gets you through life, which is why I think I need it in movies, so that the movies feel true to life. RB: My favorite of your movies is How to Make an American Quilt. Does that one still hold the title for your biggest budgeted picture? JM: I would say it does, though The Dressmaker is competing with it. a massive amount of movies by lines of dialogue give to female characters. Some movies had no lines, a number of movies had very few lines, and a small number of movies gave the majority of the lines to women. How to Make an American Quilt would have been at the very top of that chart! JM: Well, there's so many women in that! I was so lucky to work with all of them. They were all mentors to me, those incredible actors. JM: I was always shocked when I walked of the set. Like, oh, my god! Look at these women! How did I get them all here? RB: And it was a diverse cast of women too. And I think the craziest thing about it. There's so much talk right now about how we don't have diverse Hollywood pictures, and we don't have diverse pictures where the majority of the cast are women. Yet, How to Make an American Quilt happened in 1995. But we're talking in Hollywood as if movies like it have never happened at all. JM: I suppose it's good to remind people that it did. RB: Do you feel like it would be any harder, or would it be just the same, to get that movie made today? JM: I think there is the market for intelligent films that are aimed at, that are marketed toward women. It was there and it's still there. RB: I have to ask, did you ever hear from that male teacher again? The one who told you you'd only be a secretary, and to learn to type? JM: No, I did not. I never heard from him. But I do like to think that he might have noticed that I didn't have to become a secretary. RB: Me, too. I hope he's reading this right now. 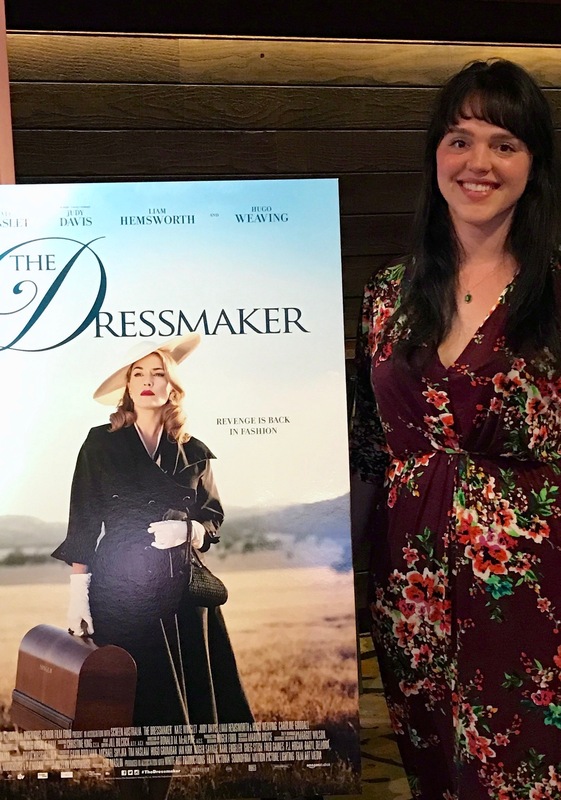 Jocelyn's latest film, The Dressmaker, is in theaters now and will be streaming on Amazon soon.